Lineage of Prophets ~ Islam My Ultimate Decision . Allah has sent chosen and pious people as His prophets to show the people the right path - the path chosen for them by the Allah Almighty. The prophets' lineage that commenced with Adam (AS) culminated with the last of the prophets Muhammad, may peace be upon him. In between some 124,000 prophets (including the two) came and showed the righteous path to the people of their communities, clans and tribes. Each prophet came to show the right path to his people who had gone astray and were indulged in activities tangent to the teachings of Allah. In fact, many prophets came one after the other to the same people who kept disobeying the words brought to them by the prophets or going astray when one prophet was gone. As can be seen that the major flow of prophets commences from the two sons of prophet Ibrahim (Abraham), prophets Ismail and Ishaq AS. Prophet Ismail, born from Hajira (Hager) the second wife prophet Ibrahim has his descendants culminating in the prophet hood of Muhammad (MPBH). 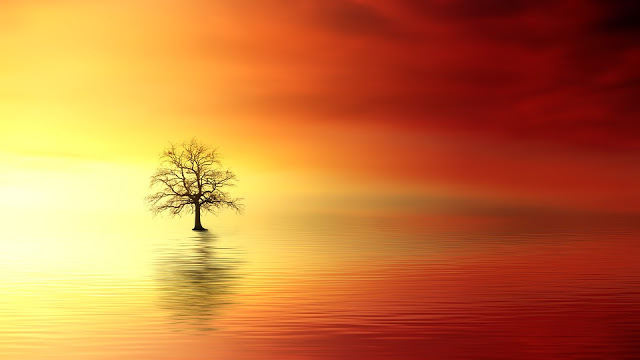 the prophet of Islam, while the prophets lineage from Prophet Ishaq, from Sarah, prophet Ibrahim's wife, terminates in the prophet hood of Isa (Issac) AS. 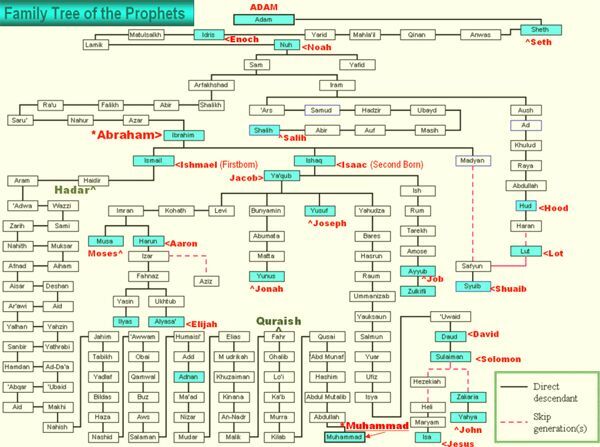 The prophet's lineage also show the placement of some of the important prophets like Prophets Nuh (Noah), Hoot (Hut) Lut (Lot), Musa (Moses), Yaqoob (Jacob), Yousaf (Joseph) and others. In my next number of posts, I will write about some of these prominent prophets as their mention appears in the Holy Koran. 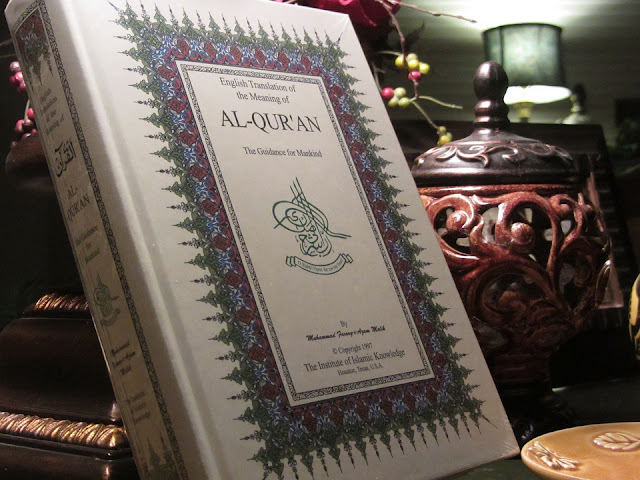 I have been looking for an easy and understandable page on Islam n here i came accross urs , feel blessed.